With more travelers visiting South America, the region has begun attracting luxury hotel brands looking to satisfy the growing demand. Oetker Collection, a high-end European hotel brand, chose the Brazilian city of São Paulo to plant its first flag on the continent. 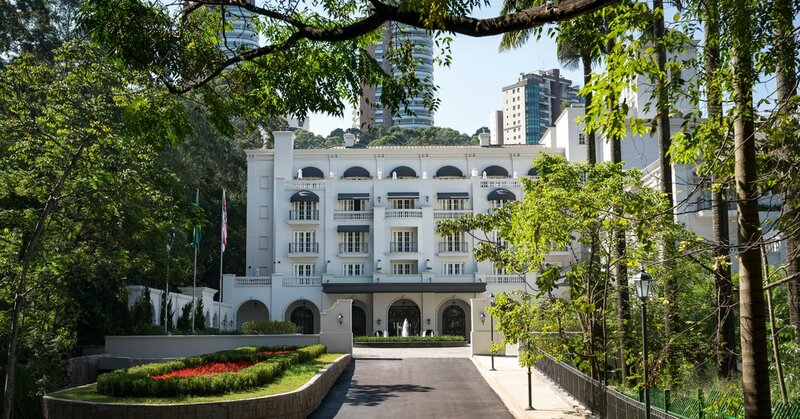 Opening in May of last year, Palácio Tangará is a 141-room urban resort set in the 26-acre Burle Marx Park (rates from $370). Its Michelin-starred restaurant was also the first project in this part of the world for the restaurateur Jean-Georges Vongerichten. This October, Four Seasons unveiled its first Brazilian hotel in São Paulo’s up-and-coming Parque da Cidade district (rates from $375). Further north, French hotelier Thierry Teyssier will debut his wandering hotel concept, 700,000 Heures, next June in two three-bedroom residences near Lençóis Maranhenses National Park (all-inclusive rates from $2,000 per night, per couple). In July, the state of Bahia will welcome Anantara Maraú Bahia Resort on a pristine stretch of coastline along the Maraú Peninsula. The 30-room beach resort will feature a spa and water activities ranging from surfing and diving to deep sea fishing and speedboat excursions. Six Senses Formosa Bay resort is expected to open in 2021, spanning 6,350 acres on a former coconut plantation and mangrove forest in Rio Grande do Norte. In terms of air traffic, South America’s largest airline, Latam, noted a 14 percent industrywide increase in flights from the United States to South America in the first quarter of 2018 compared to last year, with Brazil performing the strongest. Virtuoso’s flight statistics for 2017 report a 44 percent uptick in air bookings versus 2016 with Chile, Colombia and Argentina showing the greatest air traffic growth from North America. Capitalizing on this surge, the experiential travel outfitter andBeyond set up its first lodge outside of Africa this September in Chile’s scenic Lake District. Sitting on a 98-acre estate and working farm, andBeyond Vira Vira offers a host of adventure activities including hiking, horseback riding, rafting and skiing (rates from $525 per person, per night). In January, Chile’s capital city of Santiago will be home to the new Mandarin Oriental Santiago, a 310-room luxury property in the upscale neighborhood of Las Condes, overlooking the Andes, with a free-form pool, spa, and five restaurants and bars. Its second project, an oceanfront resort in Viña del Mar, is scheduled to open in 2020.